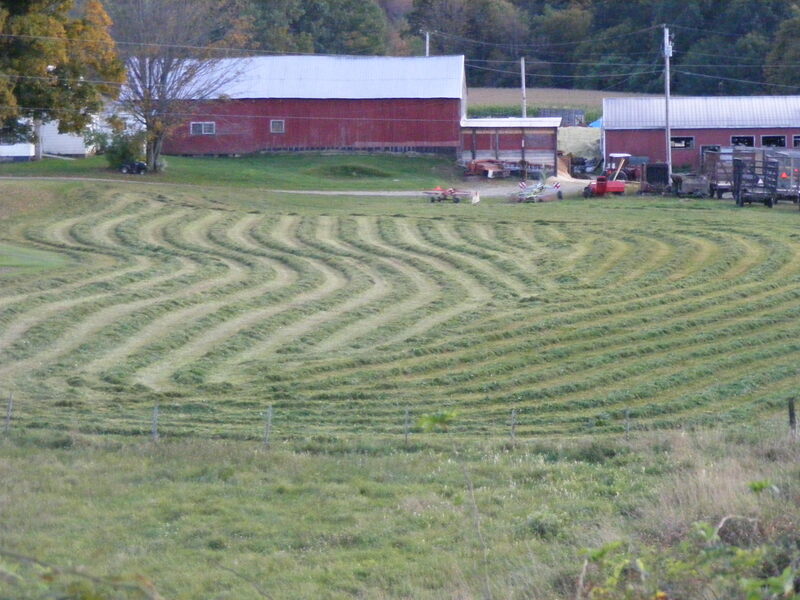 Ah, the smell of fresh mowed hay ! But the scent of autumn is in the air. Leaves have begun to transform into a wonderful pallet of colors. Soon frost will greet us and the geese will fill the air on the migration south. Most wonderful time of year here in the northeast. And, if you listen closely, the sound of fire wood being piled high for the winter can be heard…yes..it will come. Have no doubt. Enjoy.